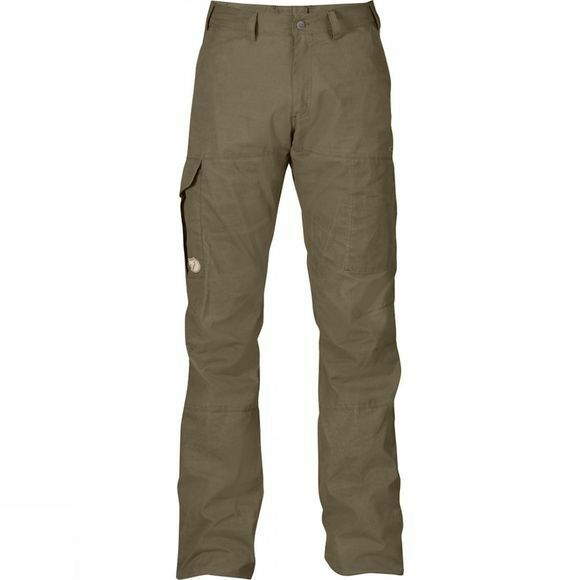 The Men's Karl Pro Trousers from Fjallraven are versatile outdoor trousers ideal for those want a functional trouser that is suitable for high-altitude trekking and Sunday afternoon strolls in the countryside. The Karl Pro is constructed from wind and water resistant G-1000 Silent fabric and has articulated legs with pre-shaped knees that allow excellent freedom of movement. The trousers fit at the mid-waist and have been designed to sit comfortably when you're wearing a pack. The leg endings have a raw length and can be adjusted to suit any height. 6 pockets provide ample storage for essentials such as your phone, map and keys.